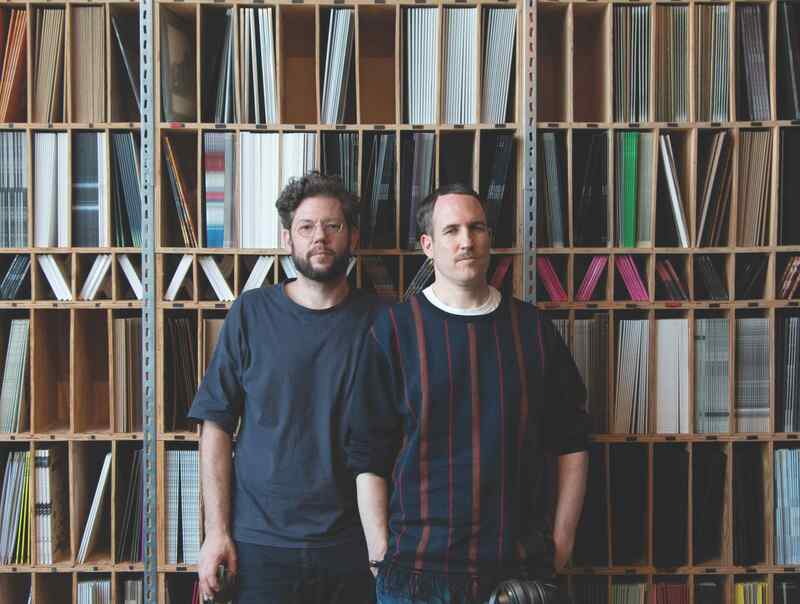 Kristian Beyer and Frank Wiedemann, better known as Âme (that's pronounced 'arm', for the record, not 'ahh-may') often refer to their relationship as being like that of "an old couple". More accurately prehaps, they're like an old couple in an open marriage. While that's an unsavoury image, the description does bear scrutiny. They affectionately bicker with each other in the way that old, slightly adversarial friends, or spouses, do. They also see other people, with Frank being half of The Howling, with the LA-based Austrailian singer and musician RY X, and also half of Schwarzmann with Henrik Schwarz. He describes the situation with admirable diplomacy: "We're very different. But we accept each other for those differences. It's like the phrase, 'I disapprove of what you say, but I will defend to the death your right to say it.' That's basically the basis of our relationship." Spending time with them, this sounds about right. As with any married couple, they are most comfortable at home. In their case, it’s their HQ in Kreuzberg, the handsome-but- reassuringly-shabby district just to the south of central Berlin. It’s home to their record label Innervisions: founded in 2005 with the enigmatic Steffen Berkhahn, better known as Dixon, it has boasted releases by everyone from Laurent Garnier to Marc Houle. The offices, which they moved into six years ago, also contain their vinyl distribution company Muting The Noise, their DJ agency Temporary Secretary, and an occasional record shop, which opens for just a few hours every Thursday and acts as a kind of weekly social hub for producers and DJs across the city. It even has its own licensed bar. Also close by in the neighbourhood is their studio, a Mecca for vintage synths, the control centre built using eight tons of timber sourced from ancient woodland just outside the city. They launched their distribution business at a time when the industry was, to put it bluntly, properly on its arse, with a host of major distributors going out of business in the wake of the digital music revolution, and running countless independent labels into bankruptcy. As a result, areas like Kreuzberg and Friedrichshain, on the other side of the River Spree, became havens for artists and musicians. The irrevocably skint, basically. Kristian and Frank arrived in 2009, relatively late on in terms of dance music’s wholesale migration to the city, in pursuit of its vibrant party scene and cheap rents. Frank recalls visiting friends in Berlin in the early ’90s, a ‘very different’ proposition to what it is now. “For 200 Deutsche Marks you could get a 400 square metre apartment, but, you know, it would have no toilet,” he says. Back then, Berlin had a local techno scene, they reckon, but not the same international renown that Frankfurt and Cologne had. It was the introduction of cheap ights from easyJet and Ryanair around 2000 that caused the influx of weekend clubbers that changed Berlin into what it is now. “Before that, The Love Parade was the only reason people would come to Berlin from Frankfurt,” says Kristian. By the time they moved from Karlsruhe to Berlin, they’d already had a stack of tracks out as Âme, first on Jazzanova’s Sonar Kollektiv, which was also based in Berlin, and then on the fledgling Innervisions, which was first formulated around their now pivotal single ‘Rej’, the brooding, muscular chug-fest which thrust the pair into the limelight. The pair arrived in the city with differing circumstances, however. Kristian was expecting his first child, who was born two weeks after they moved in, while Frank had emerged from an 11-year relationship and was suddenly “a solo player”. They describe “a little tension” between them during this time, while Frank “jumped into the Berlin life”, as Kristian describes it. “I liked it very much,” says Frank. “In Karlsruhe there was always something to do, or people to see, but because I had nothing ‘to do’, I’d get up and hang in the cafe, go back, make some music, maybe read a book, or go to Berghain, whatever. There was no plan.” They admit that the city changed their music a little too. “There was stuff happening here, things to learn, people to meet, projects starting out of nowhere. We didn’t have that in Karlsruhe. We reached a point where nothing was happening anymore. The city was giving us nothing back,” says Kristian. Perhaps some of what Berlin has offered them since they arrived is found in ‘Dream House’, the pair’s new album, the first to be made in Berlin and only their second in all, coming some 14 years after their debut long-player from 2004. As far as they’re concerned, there have only been a handful of house music albums that they still rate. Matthew Herbert’s ‘Around The House’ is one. Motorbass’ ‘Pansoul’ is another, along with ‘Rest’ by Isolée and Moodymann’s ‘Silentintroduction’. “The list ends really abruptly,” says Kristian. “Yes, me working on one millisecond of a single sample over and over again,” adds Frank. This separation of roles works for them. And both are more than happy to affirm that they couldn’t do Âme without each other. 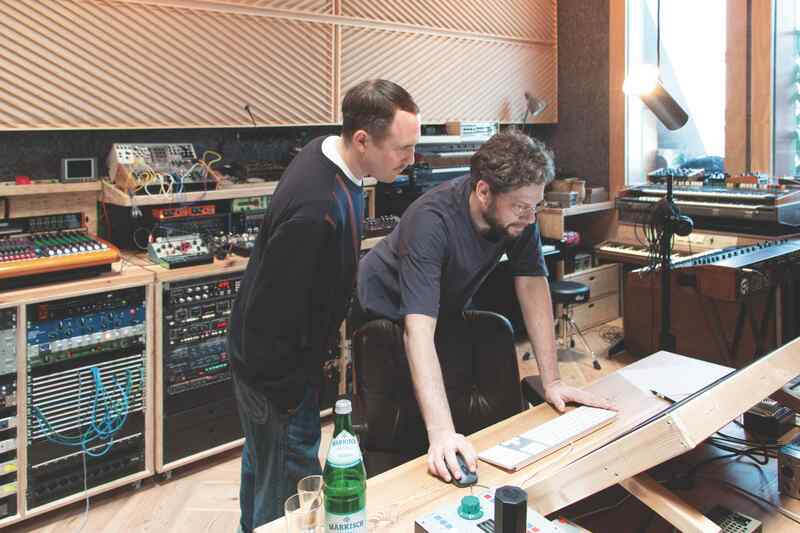 Joking aside, they qualify that when they’re formulating Âme material, they do so together, though Kristian is happy to admit that it’s most certainly Frank who’s working the mixing desk and the software. While this system has worked on the latest album, it’s caused friction in the past, particularly in how they were communicating their ideas. As well as finding ‘the right atmosphere’, they also found some pretty special collaborators. The inimitable Matthew Herbert appears on the album opener, ‘The Line’, providing unusually soaring vocals. There are echoes of The Beta Band. “Matthew Herbert was my first access to house music,” says Frank. “My kind of house music.” Veteran Berlin scenester and musician Gudrun Gut pitches up on the angular, abrasive workout ‘Gerne’ and DFA alum Planningtorock drops in an unexpected auto-tune performance on the melodic, almost-pop of ‘Blind Eye’. 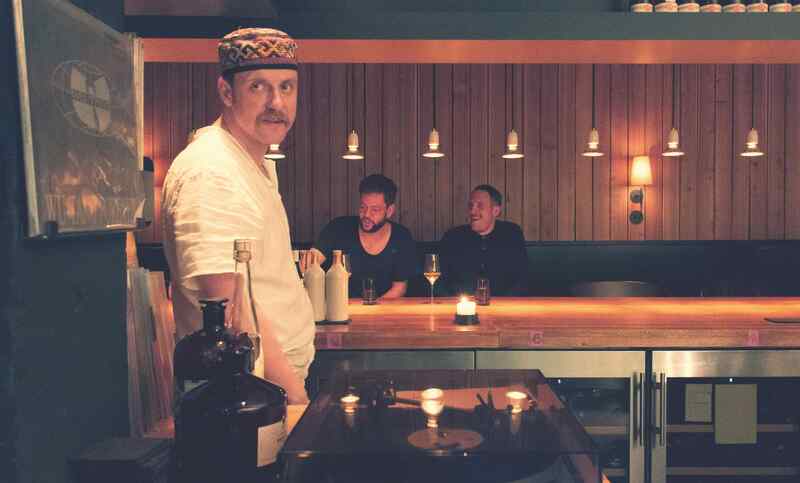 Meanwhile, the joyous ‘No War’ features a lush Weather Report sample, and is dedicated to Frank’s mother Elke, who used to run a famous jazz club in his hometown, and knew the band’s revered frontman Joe Zawinul. It’s a most fitting tribute. They also hooked up with the legendary Hans-Joachim Roedelius of the seminal krautrock outfits Cluster and Harmonia (the latter his supergroup with Michael Rother from Neu! and Brian Eno) for ‘Deadlocked’. ‘Dream House’ is a gleamingly produced, accomplished and cohesive album, and pleasingly, features little of what you might expect from an Âme ‘club’ production. It’s only ‘Queen Of Toys’, a churning, throbbing, guttural workout, that has the whiff of the nachtclub about it. As Kristian is most comfortable in the DJ booth, Frank is in his element in the pair’s stunning studio. Over at the immaculate facility, only recently completed, he’ll pull at a drawer, and out slides a vintage Korg Polysix or a Moog or a Linn Drum, plugged and ready to play. He pulls out strange and unusual boxes with baffling knobs and dials with the enthusiasm of a kid on Christmas morning. But like the scene at the end of Indiana Jones And The Last Crusade, it’s the least assuming keyboard in the room which has had the biggest bearing on Âme’s sound, a tatty, distinctly unfashionable Yamaha combi-organ that can be picked up for dozens of Euros, rather than thousands. He got a similar one for free from his dentist. Want more? Read our opinion piece on how streaming in booth could change DJing forever.